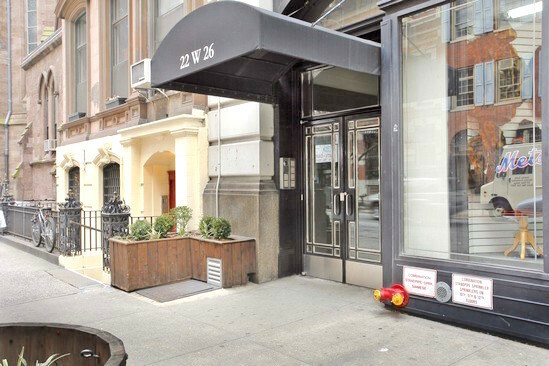 22 West 26th Street Apartment Corp.
22 West 26th Street is located in in the vibrant Chelsea/Flatiron area with close proximity to Madison Square Park. This quintessential loft building has twenty residences on twelve floors and was built in 1932. The commanding Limestone facade is beautifully preserved and boasts the original iron architectural details. There is a stunning landscaped roof top terrace with rare city views that is an ideal retreat. The building has a tasteful marble and walnut lobby, doorman, two passenger elevators and private storage available. Please upload Aztech Recognition Agreements (Provide only if financing). Upload 1 copy and deliver three (3) originals to management. Please upload Two (2 ) Business/Professional Reference Letters. Must be on a company letterhead, signed, dated, and include referee's contact information. (No subordinates or family members can be used). Please upload Latest Federal Income Tax Returns. Applications submitted after April 15th must include most recent tax returns or a copy of your extension and the tax return for the previous year. Please redact all but the last 4 digits of the social security numbers. Please upload Bank Statement(s) for ALL Accounts (past two (2) months), including blank pages and copies of cleared checks. Please redact all but the last 3 digits of the account number.